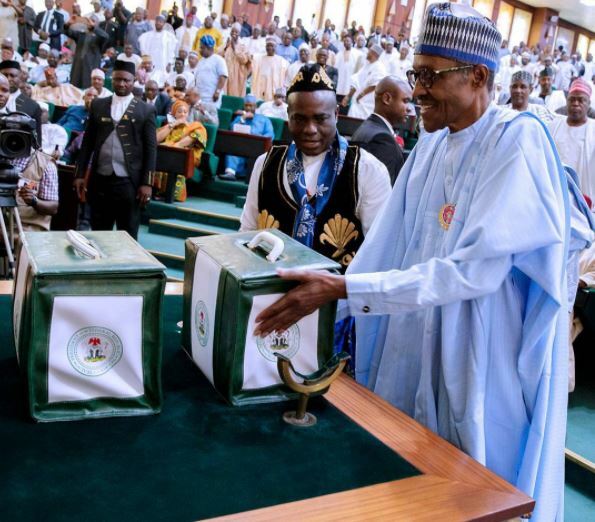 #Budget2018: President Buhari’s full speech at the National Assembly – Royal Times of Nigeria. President Muhammadu Buhari was on Tuesday received by the National Assembly where he presented the 2018 Appropriation Bill. He presented a proposed budget of N8.6 trillion, which is a 16 percent of the 2017 budget.